The Federal Reserve Bank, the bank that is supposed to be watching out for the United States but that really only wants to watch out for big finance has created a clever plan. The simplicity of the plan is genius. But the plan guarantees the new normal and only has one major weakness. That weakness is discussed at the end of this article. Fake reflation, as revealed by Jeffrey P. Snider, is just a small part of the plan. It is much more ambitious. The plan even enlists the help of big corporations, dirty tricksters, as Ted Bauman calls them, not just big banks. 1. The Fed keeps interest rates low or rising slowly on the short end. The Fed knows there is a conundrum at the long end. Even a little rise in longer interest rates is viewed with fear among Wall Street insiders. It must mean reflation. But it isn't. According to Tyler Durden, 30 year bond yields already fell back from the little bout with volatility. 2. The big companies issue stock buybacks. The tax cuts were mainly for the purpose of stimulating the economy, but not really. They were for stock buybacks. This is asset inflation. The assets inflated are stocks. But the underlying economy is not inflated. Wages are not inflated. This is all good for the Fed. Just after the tax bill passed, retail giant Walmart announced it was granting a $1,000 bonus to celebrate. It soon emerged that employees were eligible only if they’ve worked in the company for 20 years. That ruled out nearly all shop-level workers … those who need it most. Here’s something else: The total value of Walmart’s bonuses was $400 million. The value of the tax cut to the corporation will be $18 billion. So only 2% percent of its tax cut is going to its (best-off) workers. Stock buybacks have helped to concentrate income and wealth among the richest U.S. households. After all, the top 10% of households own 86% of all stocks. Buybacks appear to have little to no impact on real investment or job creation. So, what is the end game of the Fed and these companies, like Walmart, that are disgusting in their behavior towards their employees? Companies want stock inflation without increased prosperity and wage inflation. That protects the value of stocks, and bond values at the same time. The threat of the Fed liquidating stocks to protect bonds is ever present. The threat of the Fed liquidating stocks is like a hammer over these companies. I have written many articles about that. The companies are like everyone, fearing the inversion of the yield curve. They too have figured out that long bonds are in demand as collateral. But companies simply speculate with their stock, without contributing more to overall prosperity, to prevent the feared overheated economy. They keep the value of the company from declining, even if earnings are not significantly improving, by reducing shares, and the loans they take to increase the stock purchases are seen as a valuable tool. Bauman has shown this with a great chart, exactly how tied those loans are to corporate buybacks. It really is clever. I cannot prove there is collusion between the Fed and the big companies buying back stock. But I don't doubt it and here's why. The Fed issues Excess Reserves. Those reserves are used to protect banks. 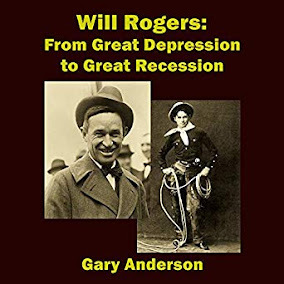 They were thought by many pundits to be inflation causing, but the Fed did not allow them to spill out into the economy as it paid Interest on Excess Reserves, or IOER. The big companies are using tax cuts in almost the same way, not letting much spill out into the real economy to really help workers. This tax cut plan reeks of a Federal Reserve induced scam all the way. The Fed is determined not to throw workers a bone. It has always been a basic rule of capitalism, to keep wages low. More recently, this Fed behavior exists to protect the bond collateral in derivatives markets. There is only one thing other than political instability that could upset this cute Fed apple cart of high bond prices and also a high stock market. That of course, is reaching the Effective Demand Limit. A simple explanation of Effective Demand is valuable since the talk has been of an overheated economy and we have come out of a lukewarm recovery preceded by a financial crisis. The Fed apparently believes that lukewarm can change to overheated very quickly. Or maybe it just has an itchy trigger finger. Anyway, here is a look at effective demand. Consumption goes on increasing with increase in income and employment. At various levels of income there are corresponding levels of demand but all levels of demand are not effective. Only that level of demand is effective which is fully met with the forthcoming supply so that entrepreneurs neither have a tendency to reduce nor to expand production. Effective demand is the sweet spot where supply and demand are in equilibrium, where aggregate demand is not too hot and not too cold. The concept of Effective Demand puts investment at the forefront. Worker spending cannot expand unless investment expands. Effective Demand does not include Latent Demand. It does not validate Says Law, which posits that all income is spent and that there is always enough demand to pay for all that is supplied. David Ricardo and John Baptiste Say held the view that “Supply creates its own demand” (this is the simplification of Keynes). In other words, if supply increases, the demand will be there. However, in looking at the Great Depression, Keynes argued that the effective demand could be less than necessary to achieve equilibrium. If demand falls, it can create a negative multiplier effect which causes unemployed resources. In Keynes theory, the level of ‘effective aggregate demand’ determines equilibrium national income. But Effective Demand has a limit. We know that business is not contributing much to labor. Tax cuts are used to buy back stocks. There is little investment. Wages are not rising much at all. Demand can become too cold. When demand becomes too cold, we reach the limit of Effective Demand. Responding to the Great Depression of the 20th century, in the 1930s Michał Kalecki and John Maynard Keynes concurred with the latter theory, suggesting that "demand creates its own supply" and developing a comprehensive theory of effective demand. According to Keynesian economics, weak demand results in unplanned accumulation of inventories, leading to diminished production and income, and increased unemployment. This triggers a multiplier effect which draws the economy toward underemployment equilibrium. By the same token, strong demand results in unplanned reduction of inventories, which tends to increase production, employment, and incomes. If entrepreneurs consider such trends sustainable, investments typically increase, thereby improving potential levels of production. It appears that the Fed, big business, and the Trump administration and government in general, are doing little to help the demand side of the equation, with the possible exception of easy loans. That is of course, the Achilles Heel of the New Normal and of this clever little plan. The Fed will protect its bonds, and if that means taking down the stock market, it will ultimately hurt companies. The Fed will choose the New Normal over the stock market if it has to. Right now, it all looks pretty invincible. But is it? Will there always be enough credit in the absence of wage increases, to keep the consumer demand strong? Is the smoothing of the business cycle finally been engineered? Credit has never worked that way. Banks become afraid. 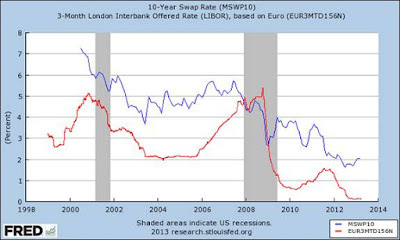 LIBOR and other measures increase. Trust wains. If businesses are so cocky that they would rather buy back their speculative stock rather than save a massive debt free war chest for bad times, it could make any recession far worse going forward. Should these companies trust the Fed? Should a rabbit trust a snake?